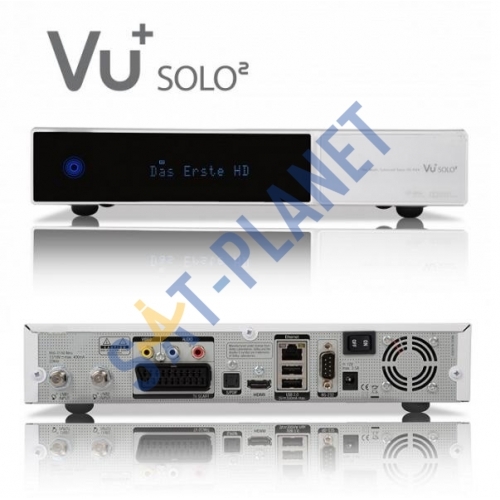 The VU+ Solo2 is the new Twin Tuner DVB-S2 Linux HD receiver from VU with 128MB of Flash and 1GB of DDR3 Dram, 2 smartcard readers, 2 USB ports and the ability to add a 2.5inch Sata drive internally. Supplied with an external power supply. 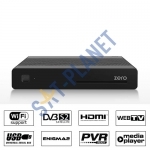 2 separate DVB-S2 satellite tuners allow you to watch any channel while you record any other channel, this receiver does not have an RF output, rear connections include HDMI for your full HD 1080p TV, Enjoy unrivalled picture quality with the awesome VU Solo 2 Linux HD satellite receiver. 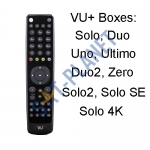 Vu+ Solo2 provides reliable and powerful hardware and software features which customers deserve. 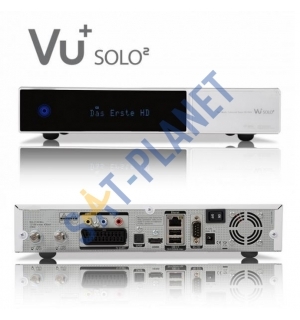 Vu+ team has developed this new Solo2 with one clear mission: produce the compact HD PVR with versatility. Ever since the Solo was out in the market in the early 2010, Solo has become the most persistent and reliable HD zapper. Vu+ team has prepared to make a new leap forward in the development of Solo2 after taking into considerations of all the feedbacks and comments from its valued customers. Features of Solo2 are upgraded and newly added. Solo2 has a brand new look with modern and simple design. The structure of the Solo2 is to set out to expose the essential components to create a clear impression of simplicity with vivid touch keys and concise VFD display. With relatively simple elegant designs, Solo2 is designed for easy use. 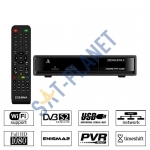 Its style also reflects the current designs of LCD TV sets. The high-glossy look of Solo2 will add nice and well blended atmosphere with your TV. Vu+ Solo2 is equipped with the powerful CPU with accelerated speed. 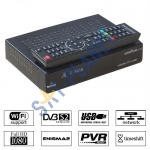 This box connected to your TV will enable customers to run any functions that they want in a split second. 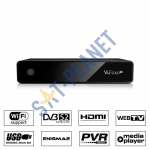 Its system has more processing power with the ability to run more applications. Vu+ team wants to make sure the customers around the world enjoy more with this faster engine in Solo2. Examples include faster booting speed, and faster channel change, faster loading of applications and plug-ins such as YouTube Player, Video Streaming, and Vu+ Air Play. Product is subject to manufacturer's 1 year warranty!